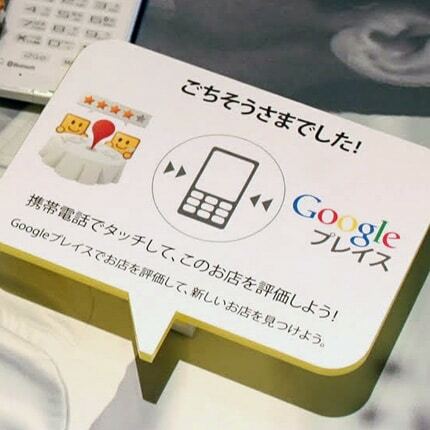 The search giant has distributed custom NFC base stations to merchants in Tokyo’s Roppongi district that let shoppers rate and review merchants — and allow Google to serve recommendations on additional locations based on the places consumers say they like. 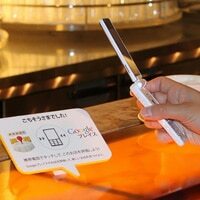 Google has begun an NFC trial in central Tokyo. Merchants near Google Japan’s offices have been provided with custom NFC base stations that allow anyone with one of the 70 million phones that support Japan’s Osaifu-Keitai mobile payments service to interact with the business. The base stations are also compatible with NFC phones. When users tap the base station with their phone, they can immediately post a rating or review to Google Places. They can also ‘star’ the place — save it to a list of favourite places — so they can refer back to it later and share information about it with friends. Google will then also recommend other places they might like, based on the places they visit. Persistent rumours have suggested that Google in the US has plans to distribute up to eight million NFC devices to merchants. During an interview with NFC World on the search giant’s NFC strategy last week, we asked Osama Bedier, Google’s VP of payments, whether part of the Google Wallet plan included free terminals for merchants. “I don’t believe in the model where Google pays for the terminals,” Bedier replied. Providing lower cost devices that handle the advertising end of Google’s NFC proposition rather than a full payments solution, however, may well be another matter.